Allyson is very excited when it comes to playing with crafty items. When I told her about the new Lalaloopsy Tinines Jewelry Maker, she was ecstatic! I showed her the product but made her wait patiently until we had enough time to play around and make cute necklaces together. I should have know Cooper would want to join in. Fun kids all around and so much fun with Lalaloopsy! The hardest part to this product would be removing it from the box. The instructions are very clear on how to thread the string and how to get it to make the bracelet for you. Often times we'll be making a bracelet and then lift one side for all of the beads to fall right off. This makes for a bracelet headache and even a few tears. I'll admit from time to time, those tears may have been my own. Shhh, its a secret! I can proudly say there were no tears shed with the Lalaloopsy Tinies Jewelry Maker. This machine came with 5 types of beads and 2 spools of string. The sting is a little stretchy. I found this a plus when I had to tie it when we were finished threading the beads through. The only draw back is there wasn't very much string on each spool. Allyson was able to make 2 necklaces and 2 bracelets with little left over. The machine is a little loud when threading the string, but I'd say it is worth it! Be sure to be specific on how many of what color bead you put below, since you cannot control exactly the pattern. If you thought this machine was for making girly jewelry only, I am here to tell you otherwise. While Cooper is sporting a very cute handsome necklace, the children made fishing poles too! Who would have even thought!? The Lalaloopsy Tinies Jewerly Maker would be a great gift for anyone in your home this year. Not only will your 5 year old enjoy it, I'm sure your 102 year old great great grandmother would enjoy it too! How fun is that? I actually think I might get one of these for my nieces for Christmas this year. They would love it. I love kits like this that allow kids to express their creativity. I would have loved this when I was a girl. The twins love the Lalaloopsy dolls. They'll be so thrilled with the jewelry maker. Thanks for the suggestion. My daughter loves Lalaloopsy and jewelry. This is perfect for her! Christmas list addition! 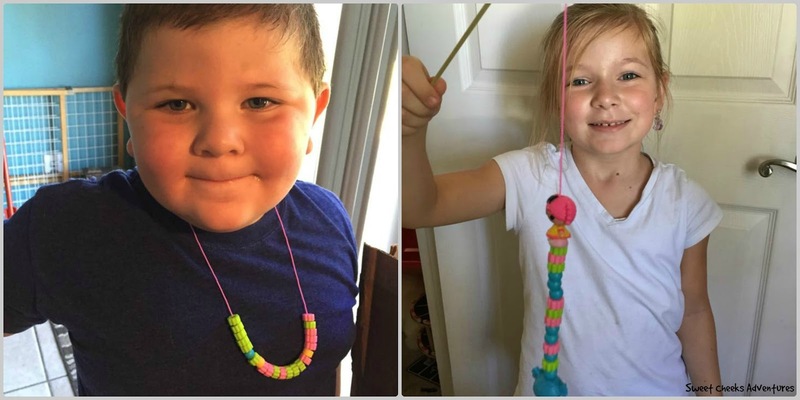 My kids used to love making jewelry. This looks like fun for kiddos. Aww this does sound like a ton of fun. 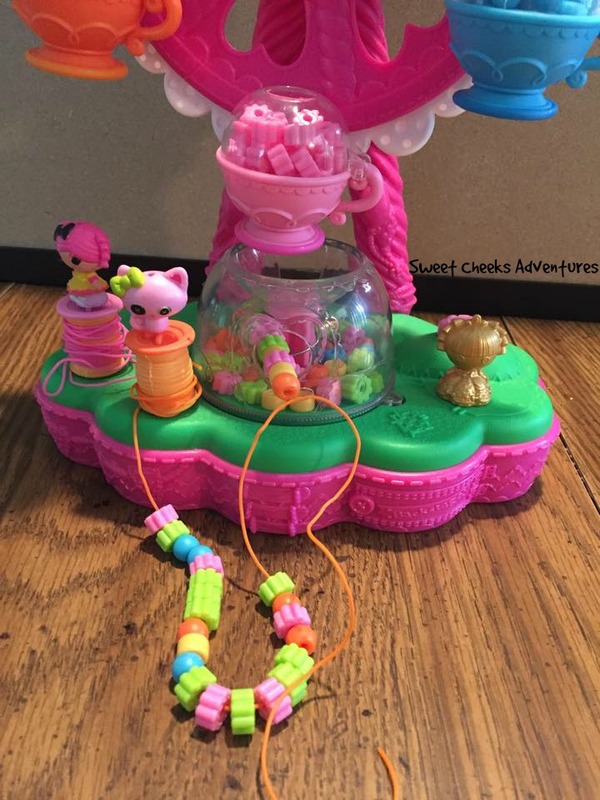 I love the little fishing pole and necklace your kids made with this set! This looks like so much fun! I used to love doing crafts with my kids when they were little! That has to be one of the cutest things I have seen in a long time. So pretty and certainly would keep the little ones occupied. This is such a cute toy to encourage crafting and creativity with youngsters! I bet my niece would love this! Now that is absolutely adorable! My daughter would like a kit like that because she loves to show her creative side. This looks like such a fun toy! I love to see the kids actually getting something from their toys. This will make a great gift this Christmas. I will have to pick one up for my friends little girl. She is going to love it. I always loved little kits like this when I was little. It looks like they are having a lot of fun. My kids too playing with crafty items & they try to do something creative on their own. 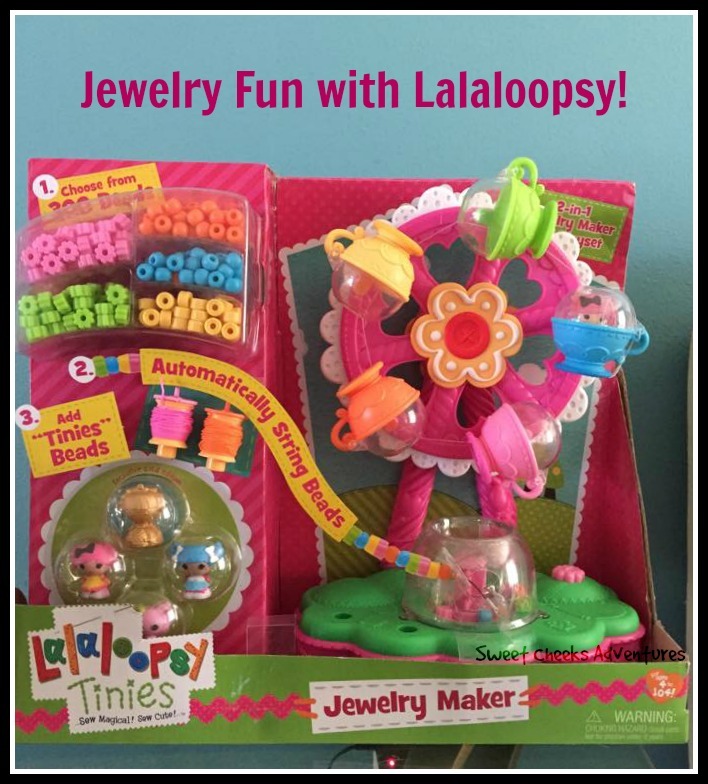 The Lalaloopsy Jewelry maker looks pretty good & it is going to be so much fun for kids to come up with their unique designs.